This Ruffled Hem Wool Midi Dress is cut from soft wool and playfully defined by the flouncy double ruffled hem. It futures a round collar, round buttons along front and concealed zip fastening through back. Marta is 175 cm tall and wears a size 36 FR. 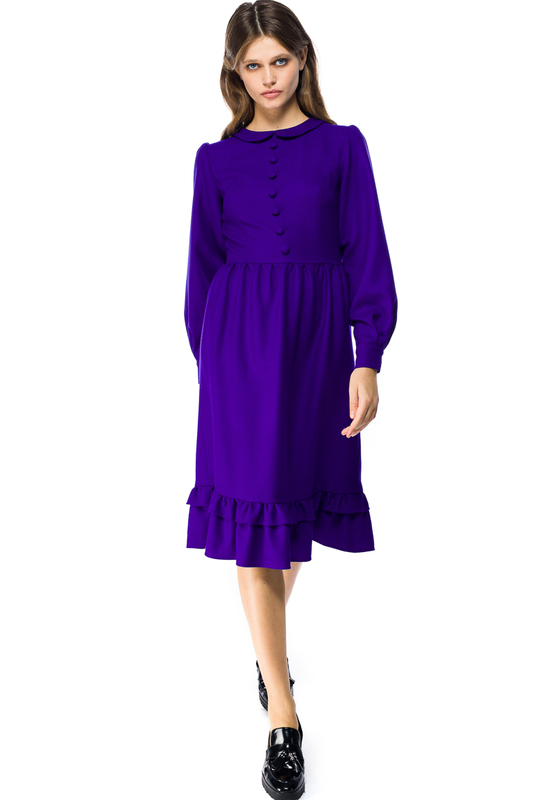 This Ruffled Hem Wool Midi Dress is designed and manufactured in Romania (EU). Designed and manufactured in Romania (EU).